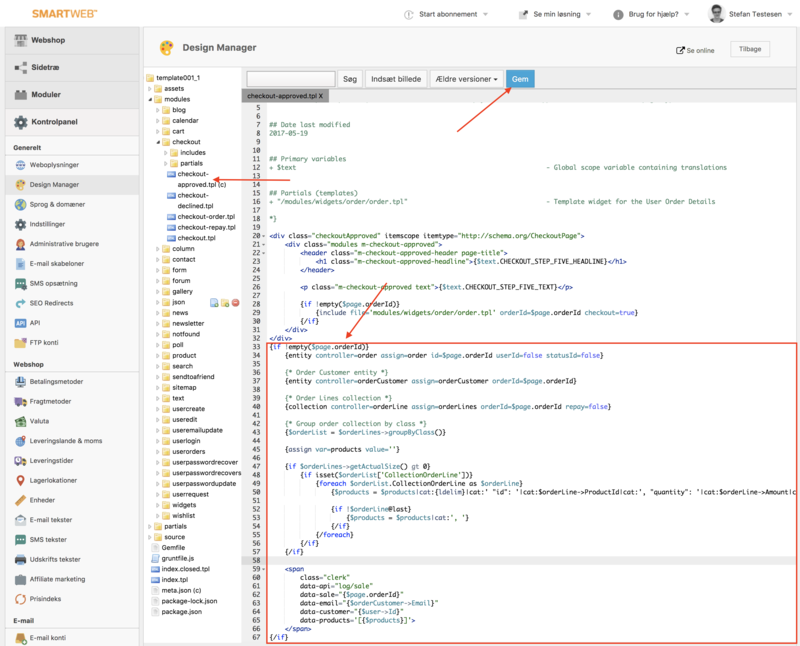 Kontrolpanel->Design Manager-> Rediger filer ->Modules->Checkout. Insert the following Sales-Tracking code in the bottom of the file, just before the closing </div> tag. 4. Click Gem to save your changes.